The Federation of European Motorcyclists Associations (FEMA) has released its Autum 2011 Newsletter. The newsletter has links to previous recent FEMA articles including an interview with MEPs Kerstin Westphal and Bernd Lange on the Type Approval Regulation. FEMA previously interviewed UK MEP Malcolm Harbour and Chairman of the Committee on the Internal Market and Consumer Protection (IMCO) , which is voting on the 22nd November, assuming that the vote is not postponed, as has previously happened, on amendments submitted to the European Commission’s proposal on Approval and market surveillance of two – or three-wheel vehicles and quadricycles. At Right To Ride EU we commented on the interview with Malcolm Harbour that, “Although the amendments will be voted on at the IMCO meeting on the 22nd November, as yet we do not know what has already been deleted, what the compromises will be, nor what the final report which will voted on in Parliament will contain”. We hoped that this interview would bring a halt to the “Silly Season”, the scaremongering and the woes of the Harbingers of Doom that this will bring the end to motorcycling, so that we could focus on the real issues. 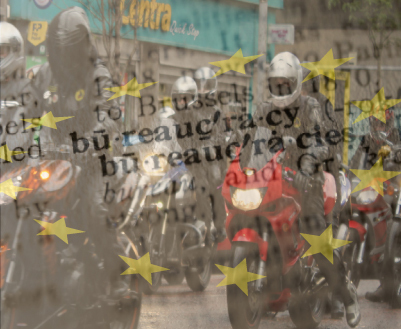 However ploughing full steam ahead is the Motorcycle News (MCN) newspaper organised – MCN Back-off EU – protest rally for the 22nd of November in Brussels (to coincide with the schedule vote in the IMCO committee), originally proposed by UKIP MEP Marta Andreasen. Backed at the start by the British Motorcyclists Federation (BMF), MCN reports that the Motorcycle Action Group (MAG UK) has now agreed to back the protest. On the political front it appears that the only other politician expressing support for the protest ride is UK Conservative MP Steve Baker, who recently became the new Chairman of the All-Party Parliamentary Group on Motorcycling in Westminster. We understand that riders are worried about the proposal and the problems that may evolve from any subsequent regulation, especially mandatory ABS, AHO and OBD, not to mention any potential introduction of anti-tampering measures. We believe that both the Commission and rapporteur of the IMCO committee have acted in haste without sufficient consultation and allowing the vested interests of lobbying sectors to influence their decisions. Motorcycling has an important part to play in transport and in our view, the Commission’s proposal will have an enormous impact on the cost of motorcycling in the future, without making any difference to safety. The mess that the proposal and subsequent IMCO report are in, may well leave the industry in a nightmare scenario of being unable to work to the proposed timetable on emissions and have huge economic consequences for the industry. What appears to be missing from FEMA and its National organisations – and – with few exceptions, from the motorcycling press as well, are facts and information on how these changes will affect us all. Unfortunately the focus on the Commission’s proposal and the IMCO rapporteur’s report has been lost in a mire of hype and misinformation and it would appear that there is a whole lot of anti European angst without looking into the factual details of this proposal. Our view is that we need to protest and challenge unfair and unrealistic regulations, but we need to do it for the right reasons. Kerstin Westphal and Bernd Lange are German MEPs and belong to the Group of Socialists and Democrats (S&D). Kerstin Westphal is also the Shadow Rapporteur in the IMCO committee and has submitted various amendments to the proposal. 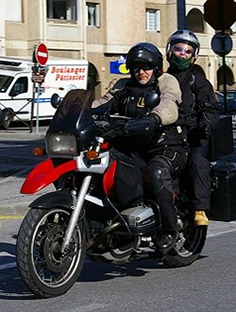 Bernard Lange in the world of “political motorcyclists” is perhaps better know, has been involved in motorcycling issues and has been the patron of the FEMA – MEP Ride on several occasions. So what can we draw out of the FEMA interview with these two MEPs? FEMA asks the right questions to Kerstin Westphal, in response to FEMA, “Now the European Commission proposed the development of measures to prevent “powertain modifications” [Article 18](2) – not only for light motorcycles, but also for motorcycles above 125cc. What are your views on this subject? Kerstin Westphal replies that, “The proposal of the European Commission, article 18, refers to a delegated act, which would specify these measures. A delegated act means a pure administrative procedure without the participation of the European Parliament. And the Commission who would be responsible for this act is not yet ready. Therefore we’ve proposed to delete this act and leave the responsibilities for detecting tampering on vehicles to the already known authorities in the member states. So while she says that responsibilities for detecting modification on vehicles is to be left to the already known authorities in the member states, what she has said, unless when the final amendments are presented for the vote in the IMCO is that ALL modifications to the powertrain and substantial modification by and owner or garage MUST be inspected and approved by the competent authority of the Member State concerned. “Under Ms Westphal amendment would we be required to have the vehicle inspected by the competent authority? If so, this would require the competent authority to have an inspection facility in place, to have charges in place, a booking system in place and it would require that the vehicle is taken to a place of inspection. How would I ride to that place of inspection if by implication the vehicle is no longer legally road worthy, would I be able to “road test” the vehicle so that to the best of my knowledge the vehicle is safe to ride to an inspection facility? Would my insurance be invalidated before it passes any inspection? How we are confused or have we missed the point, while stating that there is an amendment to delete Article 18, Kerstin l states that Article 18 has a clear and needed purpose. FEMA asks, “Why have you brought forward an amendment giving individually built motorbikes the possibility to benefit from exemptions? These two amendments obviously deal with the same original text in the proposal. 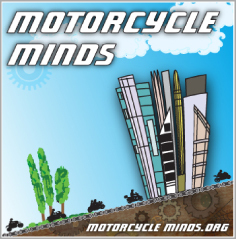 We understand that by “unique amateur build vehicles by individuals” in motorcycle terms would refer to those motorcycles that are built from the “ground up” either with engineered parts or parts from other motorcycles that would then class them as a “new” vehicle and require individual approval. This would not relate to heavily modified motorcycles that retain their original identity, either by fitting of engineered parts – home or professional or those that have been fitted with parts that are already type approved. For the UK, processes are already in place for individual approval. Our opinion is that both amendments should be amalgamated – as follows: 3. An individual approval shall apply to a particular vehicle, whether it is unique or not. Unique amateur-built vehicles built by private individuals shall benefit from simplified and affordable applications to individual approval. We will leave you to read the rest of the interview with Kerstin Westphal as she states, “In these times, it is not any more unthinkable to have a motorcycle which is running not with a combustion but an electric engine; we expect even for this a trend to modify. With the technical development the trend to modify a vehicle is still keeping pace – last detections on youtube.com concerning the tampering of electric engines of e-bikes. In consequence a regulation on modification is needed.” – ” A mandatory introduction of ABS in 2015 would save around 1000 lives per year. On Tuesday 27th September at the European Parliament in Strasbourg MEPs voted on and adopted a resolution regarding a report – European road safety 2011-2020 prepared and submitted by German MEP Dieter-Lebrecht Koch from the MEP Committee on Transport and Tourism (Tran) – the report is non-legislative, so is not a proposed regulation or a directive but suggestions for future action. On the 4th October we presented a full report on the document – Highwaymen – EU Road Safety – Click Here and have written to Dieter-Lebrecht Kochand without a response to date. What is the explanation and justification of the inclusion of this point? What monitoring equipment is being called to be introduced for motorcyclists, that is not already available to police and other enforcement agencies to catch ALL speeding offences by ALL vehicle road users? Why are speeding offences by motorcyclists only being systematically detected and punished? I find it an absolute disgrace that this point was allowed to be presented, never mind adopted in the report. It does not sit with the rest of the report and singles out motorcyclists to be systematically detected and punished. As the resolution and report has been adopted by the European Parliament then a way should be found in European Parliament procedures to delete these statements. Steve Farrell Senior Reporter at Motor Cycle News has contacted us let us know, that detailed in todays – Wednesday 9th November 2011 – MCN, Conservative MP Mike Weatherley has agreed to join the MCN Back-off EU – protest rally in Brussels.